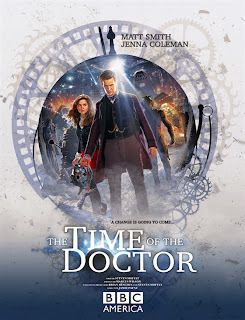 In the town, he comes across a crack in reality and discovers the Time Lords are trying to break back into the Universe. With a word, he could bring them through, however this would precipitate an attack by the combined forces in orbit. Likewise, an assault would trigger the Doctor bringing back the Time Lords. Oh, and he discovers the world he's on is Trenzalore, the planet that will one day house his corpse. Those of you who aren't following the show will have to take it on faith that the above makes some semblance of sense. So the Doctor tricks Clara into leaving and decides to stay and defend Christmas. She gets back, but three hundred years have passed (he looks about ten or fifteen years older). This occurs once more, and she finds the Doctor dying of old age. They don't quote a number, but it seems likely the Doctor's overall age must have doubled in the middle of this episode - I wonder if they'll address that next year. 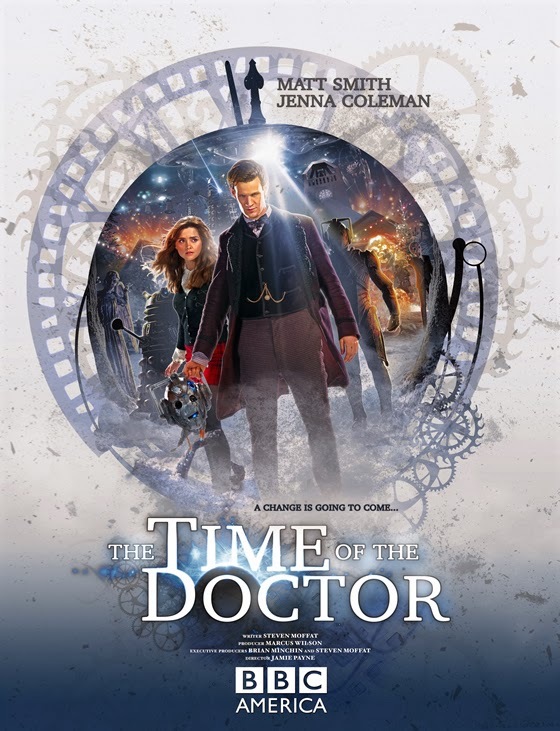 By this time the war is going poorly, the Daleks are attacking, and the Doctor knows he's going to die. The Time Lords are still shouting "Doctor Who?" through the crack in reality, but the real question is why the Doctor doesn't answer. I can think of several possible explanations, but I feel a little cheated Moffat didn't provide one. Regardless, he goes to face his death, and Clara answers the Time Lords, though not like I'd expected. She should actually know the Doctor's original name thanks to "The Name of the Doctor," so it seems odd she doesn't give it to them. Instead she essentially says "The Doctor" is his name, and they should help him. Of course they do, which resets his exhausted regenerations and allows the show to swap out leads. I liked a lot of elements here. The Silence were cool as something other than a villain, and I like the new character, Tasha Lem (hopefully she'll be back in the future). Likewise, there were a few answers provided to lingering questions about The Silence. Plus, the parallels between Clara skipping centuries (if not milennia) as the Doctor fought a long war on Trenzalore and the tenth Doctor episode, The Girl in the Fireplace, were fascinating. But, as a resolution to the eleventh Doctor, it was a bit of a letdown. Moffat's been teasing Trenzalore for years now, and this was nowhere near satisfying enough. The war wound up feeling small and dull. There was some narration implying the war had been great, but the idea that "Christmas", a single small village, could withstand the vast armies around it is absurd. Where were the fields of vanquished armies? Still, we got some good moments between Clara and the Doctor. We even got some great scenes between the Doctor and a re-purposed Cyberman head. The episode grew sappy at times, but that's long been part of the series's charm. Overall, not a bad episode of Doctor Who, though they clearly bit off a lot more than they could chew. Between fulfilling their Christmas obligations, attempting to resolve the Silence plot, giving Matt Smith an emotional sendoff, and setting up the next series, they didn't leave themselves much breathing room.